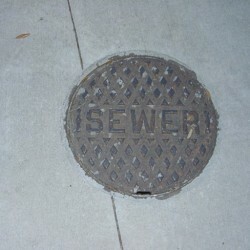 Quality Drain & Sewer, Inc. The sewer line is the large line to which all the other lateral lines inside the home run (shower, hand basins, kitchen sink,etc.) and it is often the source of the backup. Often, tiny thread-like tree roots have been searching for water and found it in the sewer line. 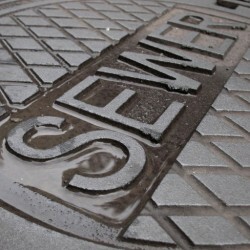 We can place a small camera in your sewer line and inspect the INSIDE. This procedure is relatively inexpensive and can almost always be done in under an hour. Please call us to give you peace of mind. We can locate exactly where the line exits from under your home and can also locate exactly where the line needs to be dug. Having a line located BEFORE your excavator begins to dig will mean a smaller hole and less of your yard dug. Occasionally a sewer line is blocked by a substance too soft to be removed by a set of knives on an ordinary drain cleaning machine. We can use a Jetter on this type of blockage. This machine provides a high pressure water stream and pushes the sludge out of the line. We are a small drain cleaning and sewer line inspection service committed to keeping our prices as low as possible and providing excellent customer service. We do this by choosing not to advertise in yellow pages or newspapers and instead rely on referrals for the majority of our work. We know there are MANY drain cleaning companies to choose from but we are dedicated to setting ourselves apart from the rest. 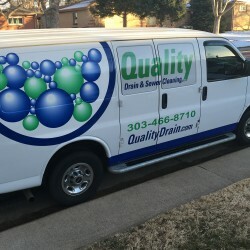 We hope to earn your trust and encourage you to try Quality Drain should you be in need of drain cleaning or sewer line inspection services at home or at work. Our house was built in 1959. While we love our mature tree in the front yard, our sewer line doesn’t love it as much. Dean is always prompt, and he does a great job. And he’s straightforward about our needs looking forward. Given our history with him, Dean is the man for the job. The first time I used Quality drain I was impressed with his clear explanation and his helpful tips for keeping my drains clear. He always does a great job and at a good price too! We now use him for our company and residential needs. Or contact Dean to ask for service. Coffee grounds and grease in your sink are the two of the biggest enemies of drains and sewer lines. Keep this in mind – if it’s big enough to see, put it in the trash or compost. One of those simple, metal mesh drain guards on your kitchen sink does the trick.